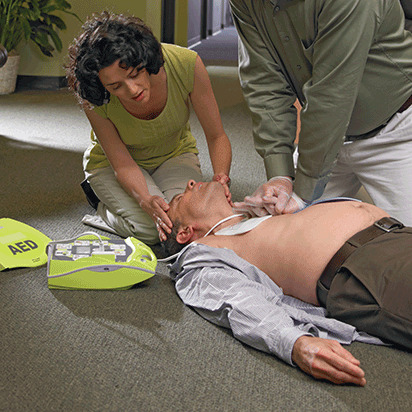 Learn the skills that could save a person’s life with Red Cross training in First Aid, CPR (cardiopulmonary resuscitation) and AED (automated external defibrillator). These training courses equip you with the expertise to respond calmly and effectively when emergencies strike. The American Red Cross leverages the latest science to teach how to recognize and care for a variety of first aid and cardiac situations until more advanced medical personnel arrive. Whether you are located in the Greater Chicago area, or surrounding counties, you can sign up for a variety of lifesaving classes. The American Red Cross digital certificate is a first of its kind, online certificate that gives you anytime, anywhere access to your certification and training history. With Red Cross Digital Certificates you can print, share, and download wherever and whenever you like. The Red Cross is the nation’s most trusted provider for health and safety training. Our training classes meet all OSHA guidelines as well as many other professional and regulatory standards.